A Life Estate is a simple, best-of-both-worlds tool that includes an ironclad guarantee that the current owner of a home (the life tenant) will never jeopardize his or her lifetime right to occupy and enjoy the home, and provides for a swift and effortless transfer of the home when the life tenant passes away. A life estate deed designates the current homeowner as the life tenant of the property and the person who will assume ownership upon the life tenant’s death as the remainderman/remainder owner. In strictly legal terms, the life estate deed actually transfers ownership of the home to the remainderman at the moment when it is signed. However, the life tenant retains an inviolable, exclusive right to use and occupy the property for the rest of his or her life. That right ensures that a life tenant cannot under any circumstances be forced to leave the home by the remainderman or any other heir or relative. The remainderman cannot use or occupy the property in any way during the life tenant’s lifetime without the life tenant’s consent. In exchange for these guarantees, the life tenant’s responsibilities include paying all applicable property taxes on the home and performing or paying for any required maintenance and repairs. How Does a Homeowner Create a Life Estate? In most cases, a life estate can be established simply by executing a new deed for the property with the help of qualified attorney. The process is neither expensive nor time consuming, and the potential benefits are numerous. What Are the Advantages of a Life Estate? In addition to the security and peace of mind that come from knowing that a homeowner’s right to use the home as he or she sees fit for the rest of his or her life is absolutely protected, a life estate deed offers a number of other advantages over other arrangements. Upon the death of the homeowner /life tenant, full ownership and use and occupancy privileges for the home will immediately transfer to the designated remainder owner. Generally, the only required action is the filing of the life tenant’s death certificate with the state’s registry of deeds. Even if there are other assets that must pass through probate, designated heirs will not have to wait to begin occupying the home or preparing it for sale. A day may come when a life tenant realizes that he or she would prefer to live somewhere else. 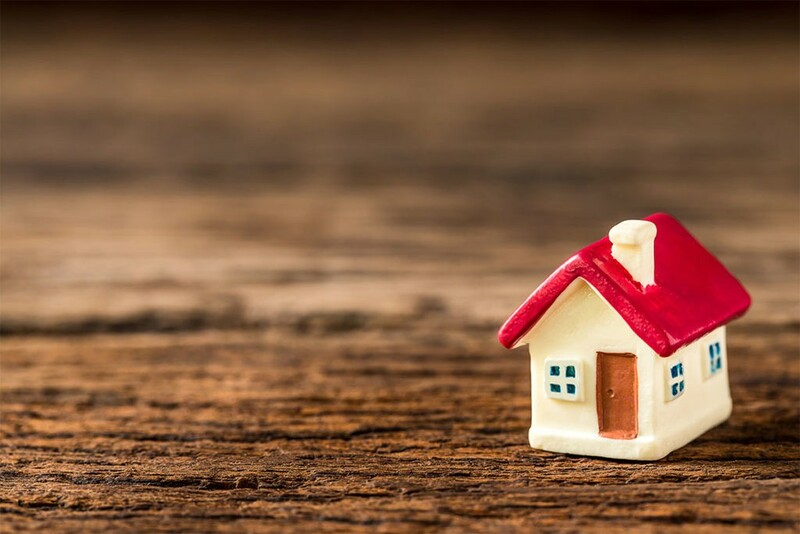 If that occurs, a life tenant has the right to rent out the home, and would then be entitled to 100% of the rental income for his or her lifetime. If a homeowner simply donates a home to an heir while the homeowner is still alive, even if done with an understanding that the homeowner will continue to live there, the recipient’s tax basis in the property will be the same as the donor’s tax basis at the time of the donation. For example, if a home was purchased for $80,000 and improvements valued at $30,000 were made to it, the donee’s tax basis would be $110,000. If the current fair market value of the home is $350,000, the donee (heir) will face a substantial capital gains tax hit upon selling the property. Under a life estate deed, however, the remainder owner’s tax basis is the value of the home at the time of the life tenant’s death (a stepped-up basis), greatly reducing or even eliminating any capital gains tax consequences of future sale of the property. If a homeowner ends up spending his or her later years in a long-term care facility and still owns a home under a traditional deed, Medicaid rules will likely require that the home be sold before the homeowner can become eligible for Medicaid assistance. However, if a life estate is established for the home more than five years before the homeowner goes into long-term care, the home will be protected throughout the homeowner’s life and will stay in the family until the heirs, not the government, decide that it is time to sell. Are There Any Disadvantages or Risks Associated With a Life Estate? Irrevocability: Although not strictly impossible, altering or annulling a life estate agreement is extremely difficult. Medicaid transfer penalty: If one moves into an extended care facility within five years after creating a life estate deed, Medicaid can still require sale of the home. Consequences of remainder owner failures: Although the right of a life tenant / homeowner to live in the home under a life estate deed is absolute and exclusive, if the remainder owner has legal or financial problems, the resulting claims against the property could cause significant headaches. Probate of heir’s assets: If a remainder owner passes away before the life tenant, the home might have to pass through probate of the remainder owner’s assets and will. While the life estate is not for everyone, it makes sense to get educated about life estate deeds and carefully consider whether a life estate is the right option. The time and costs to learn are minimal, and the benefits may be great and long lasting.